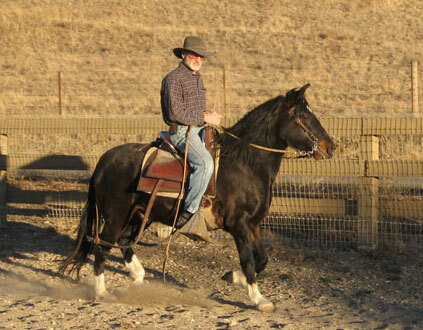 The Peruvian Paso gelding, Galan BSN has been sold! Click here to see a video of Galan! GALAN BSN: Galan has been sold. Congradulations to the Daly family from Ventura, CA. We've left these pictures of Galan for your enjoyment. 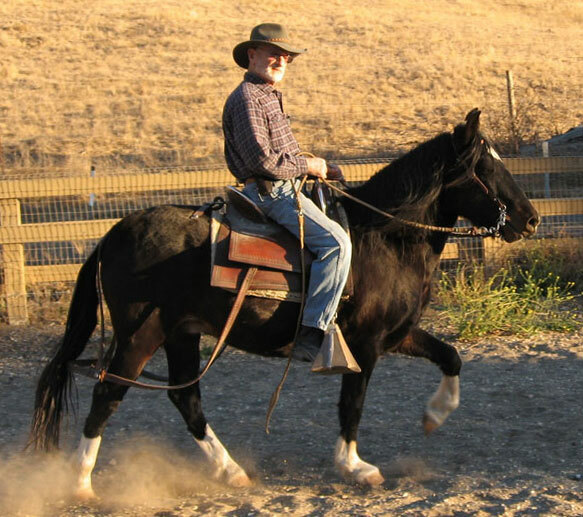 What's it like to own a Rancho Vilasa Peruvian horse? "My boys and I have been having so much fun on Galan. My oldest son has been in Montana for the summer and everytime he calls, the first thing he says he misses is Galan (I thoroughly understand the slight . 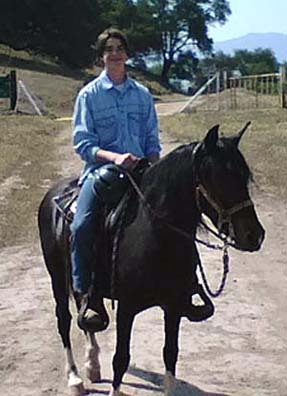 . .) My youngest has been having a great time on him and finally feels comfortable going on trail rides. Galan takes good care of him. We also have been playing horse games on him and my youngest might even try to show him." 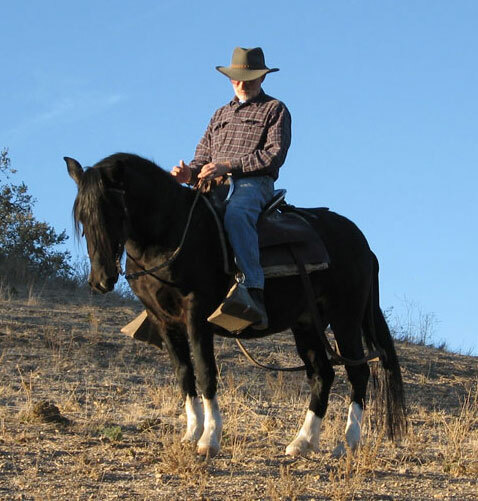 " We cannot thank you enough for allowing us to purchase him.. My Mom said that was the best money ever spent... "
Galan and Ryan Daly on the trails. 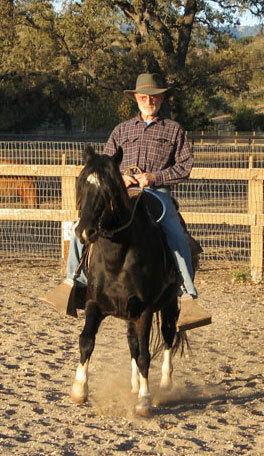 Born August 9, 2002, Galan is a fine Peruvian Paso gelding, a dark bay, almost black. Click here to see a video of Galan! 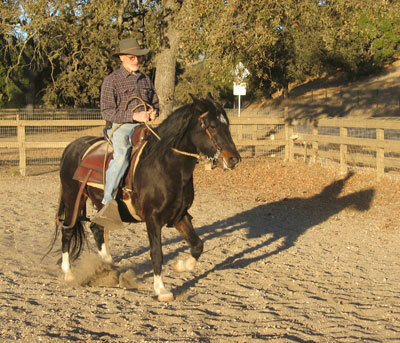 FRONT, SIDE OR REAR, HE'S A STRONG, GORGEOUS GELDING! That's his shaggy winter coat; he's rough and ready for the cold. In summer, he's slick and glossy, a knockout. These pictures of Galan were taken the first week of December, 2006. They're hot off the press! These are big photos and may take some time to load. 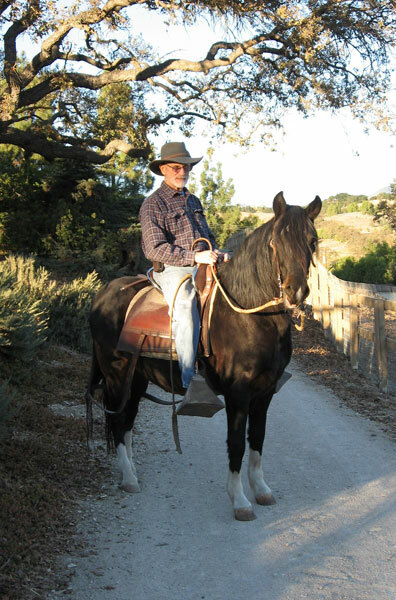 Please be patientthey give a true impression of the gelding. Notice Galan's short back, lovely neck and powerful stance. 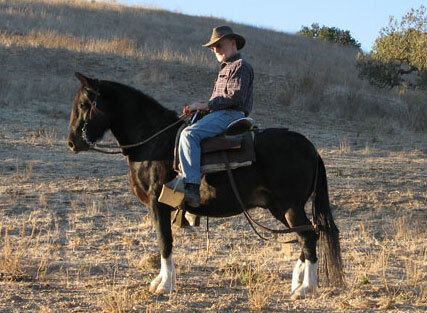 He's attentive and a pleasure to ride. 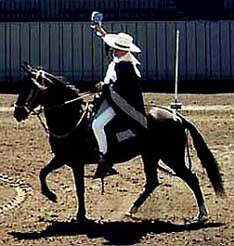 Galan in a beautiful slow gait, paso llano to you Peruvian aficionados. His power is clearly evident in the photo. Notice Galan's broad chest, straight legs and great feet. Notice how he uses his back end, reaching far under himself to drive from the rear. HE'S QUICK, HANDY, AND TURNS ON A DIME. 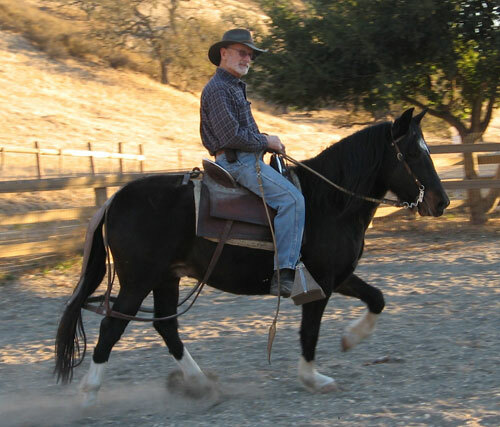 He's fully trained and ready for his new owner, with lots of trail miles. 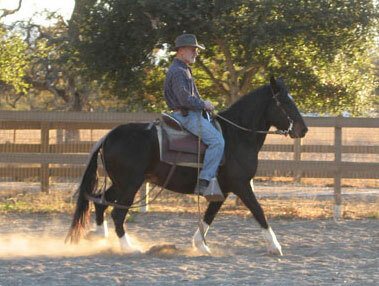 This is his mother, Shakti BSN, a Champion of Champion Performance Mare. She won her title at the prestigious Mission Trails show at Monterey, CA. She is a full sister to our beloved stallion, Capoeira, a daughter of the famous *RyR Galileo out of the classic mare, La Soberbia. Soberbia's father was a direct son of Sol de Oro, Viejo, and her mother was a full sister to the immortal *Mantequilla. Gallan's father is AGA Gaujiro, a Champion of Champions Performance Stallion. Galan has inherited the best of his parents. He's short backed and compact, has legs "to die for" like both Mom and Pop, and great feet (again, like both parents). 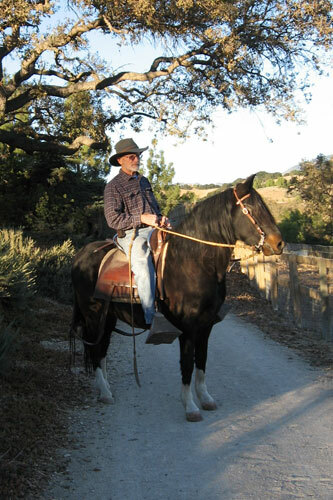 He's well gaited and has a sweet disposition, with plenty of brio. 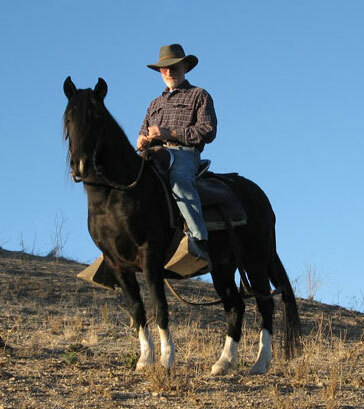 With all that, he's sensible and a good horse for a competent rider.